Providing the skin with a natural rejuvenating active ingredient, essential to its structure and hold, to preserve skin suppleness and tone. Specifically developed for mature skin, this gel-forming mask helps skin cope with the effects of aging by helping resupply collagen, a rejuvenating active ingredient that helps ensure tissue connectivity. Collagen is a primary component of the dermis, playing a major role in the skin’s firmness and tone. As you age, this protein is altered, and less of it is synthesized, causing a loss in skin density. 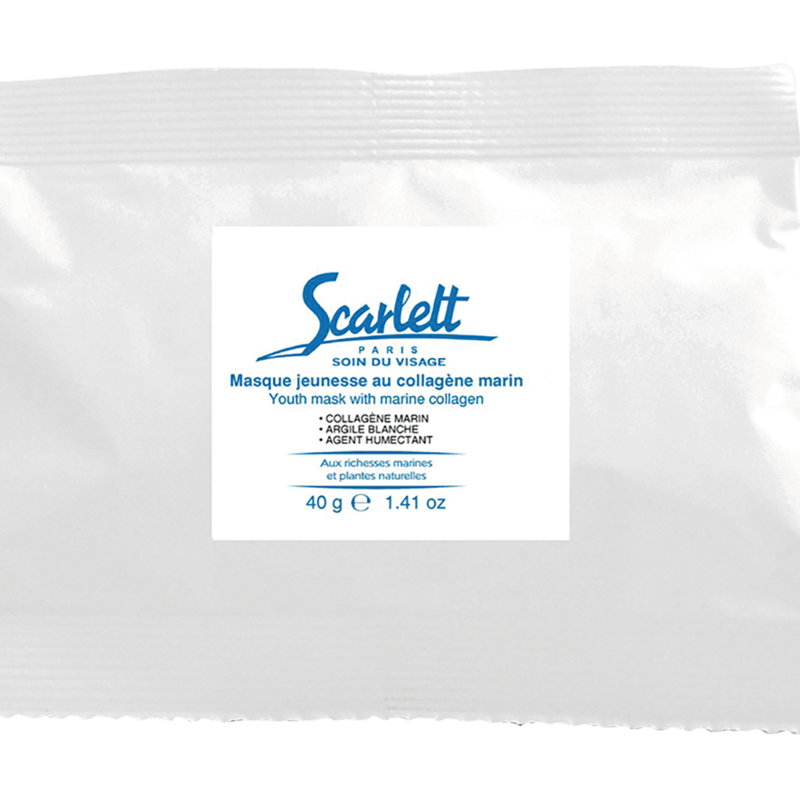 This mask contains marine collagen combined with brown algae polysaccharides, which have a similar structure, to create a synergistic pairing that helps preserve the skin’s tone. Extra-gentle white clay is also used to provide comfort and care for even the most delicate and mature skin. An added humectant also reinforces the sense of wellbeing that comes from this treatment. Pour the contents of the sachet into a bowl, and quickly add 120 ml of water or rehydration lotion with hyaluronic acid. Stir vigorously for at least 45 seconds, until the mixture is smooth and completely free of lumps. Apply to the entire face and neck, and leave on for 20 minutes. Use hands to peel off.